Are you aware of all the hard work that California water professionals do to keep your drinking water clean and the environment healthy? The California legislature thinks you should be, and we agree! 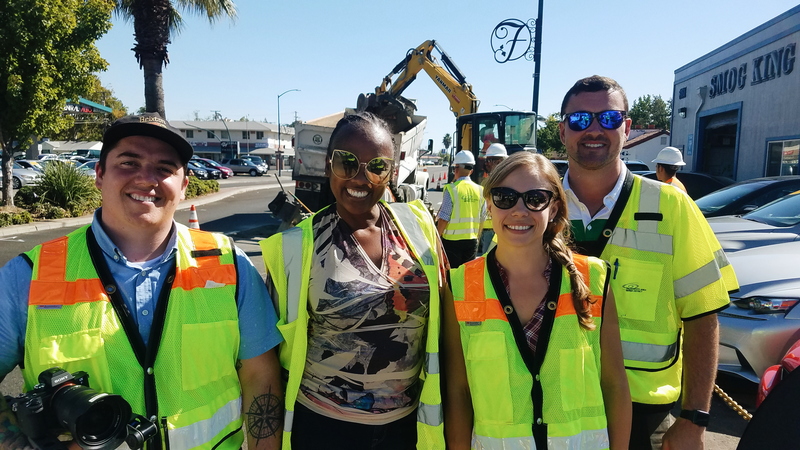 Last year, California lawmakers approved the creation of “California Water Professionals Appreciation Week,” and our team was pleased to help two Sacramento-based clients celebrate during the second annual event this year. Regional San and the Sacramento Area Sewer District wanted to commemorate the occasion by creating multiple videos to share via social media. The goal of the videos was twofold: to celebrate the districts’ employees and share details about each entity’s ongoing efforts to protect public health and the environment. That’s where we came in. The Merlot team with Sharon Sargeant, our guide from Regional San. Charged with producing three videos for social media distribution, our team toured multiple sites run by Regional San and SASD. From the thriving ecosystem of the Bufferlands, which provides a “buffer” between treatment plant operations and its nearest neighbors, to treatment facilities, an underground network of pipes, multiple offices across several locations in the Sacramento area and a construction project in the middle of a bustling road—our team captured a well-rounded set of clips and interviews to depict the diverse range of jobs that thousands of California water professionals perform daily to keep our water clean and our sewer systems healthy. 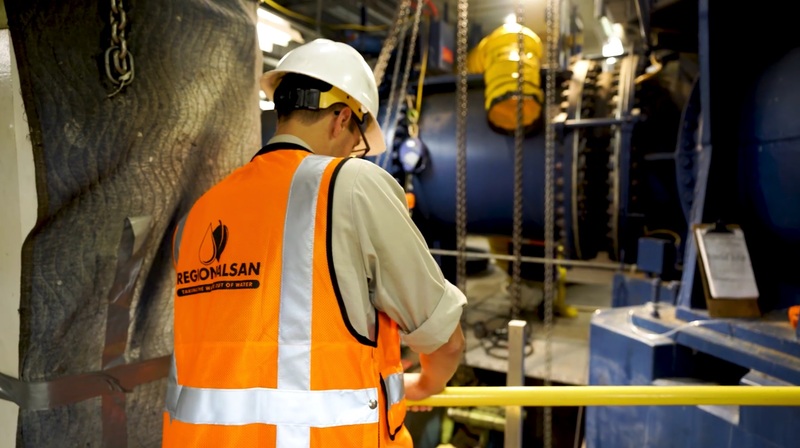 The videos included footage of the various sites, as well as interviews with key figures who play an integral role in the utilities’ day-to-day operations and featured various team leaders, from natural resource supervisors and managers to engineers. Within 10 days, the finished videos (three for Regional San and one for SASD) garnered views ranging from 2,500 to 6,700 each! We hope that viewers gained useful insights about their local wastewater treatment facilities with an understanding of just how valuable this work and the people behind it are to our community and state.